A work of art is set to brighten the walls of our specialist unit, thanks to a kind donation from a local artist and former nurse. 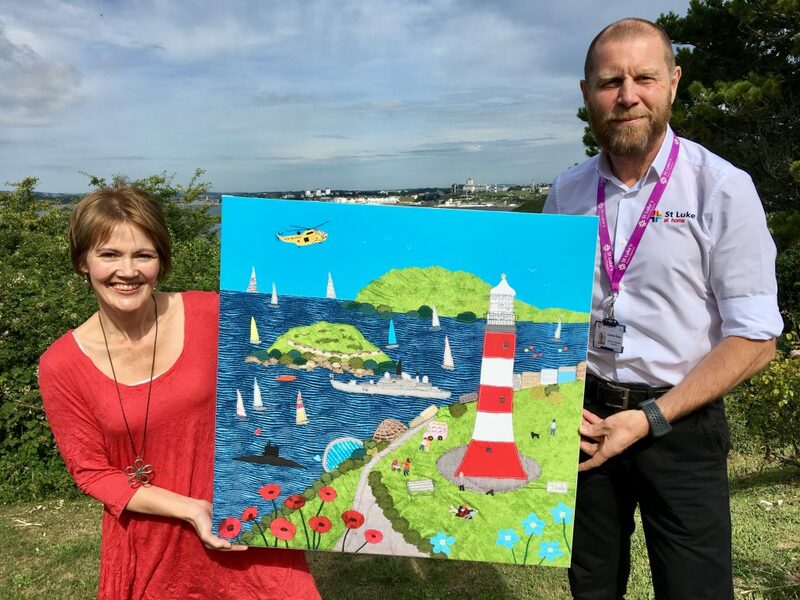 Jackie Gale, a former intensive care unit nurse at Derriford, created the beautiful work of art, which features last year’s St Luke’s forget-me-not flower remembrance display on Plymouth Hoe. 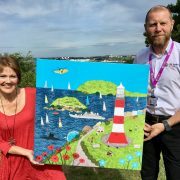 The original masterpiece, which is aptly titled ‘Fun on the Hoe’, took two weeks to produce and is made up of mixed textiles including hessian, sail cloth, velvet and canvas. As well as the forget-me-not flower remembrance display, it features Smeaton’s Tower, plenty of boats out on the water, an RAF Rescue helicopter and not forgetting the all important ice cream van! Jackie has kindly donated a limited edition print of the artwork for display at our specialist unit, in a canvas frame that has been donated by Artframe Solution of Plymouth. The limited edition print, which is one of 50 being produced, will be installed outside our single rooms, Citadel, Smeaton and Drake to brighten up the hallway. Jackie’s special edition prints are available from www.jackiegaletextileart.com. With each purchase, 20% of the cost will be donated to St Luke’s. Our specialist unit at Turnchapel is currently recruiting for care volunteers. The unit is looking to take on volunteers with a background in care to support the work of the nurses and care assistants on the unit. Anyone who has previous experience in care, perhaps someone who has retired from nursing might be suitable for the role. Nurse Iain Mitchell is coordinating the volunteers and is currently looking to take on approximately six to eight volunteers to help out throughout the week. Volunteers are also being sought to offer hand and nail therapy to the patients, giving them the chance for a spot of pampering! Amanda Vincent has been volunteering on the unit once a week since April. Now retired, Amanda spent 45 years as a registered nurse, working all over the world. 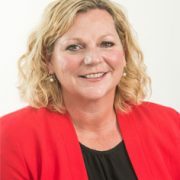 She spent seven years working as a nurse in the army, serving in Hong Kong and Northern Ireland and in 1999 she moved down to Plymouth where she worked on the Dockyard in Occupational Health. “I had been out of hands on nursing for 20 years and as I am now retired I thought I would like to actually use my skills”, she said. Amanda’s role can include ‘anything and everything’ she says, from bed baths, helping to give out food to the patients at mealtimes and changing beds to just sitting with patients to keep them company. 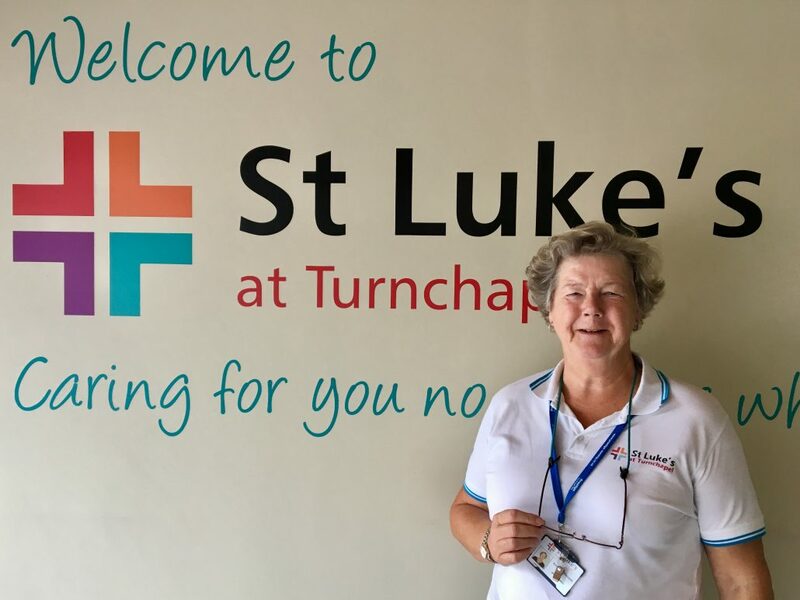 If anyone is interested in becoming a volunteer at our specialist unit, they should contact our volunteer department at volunteer@stlukes-hospice.org.uk or call 01752 401172. 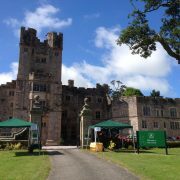 The sun was shining on Flete Estate at the beginning of the month for our Open Garden, as we raised a record amount for patient care. 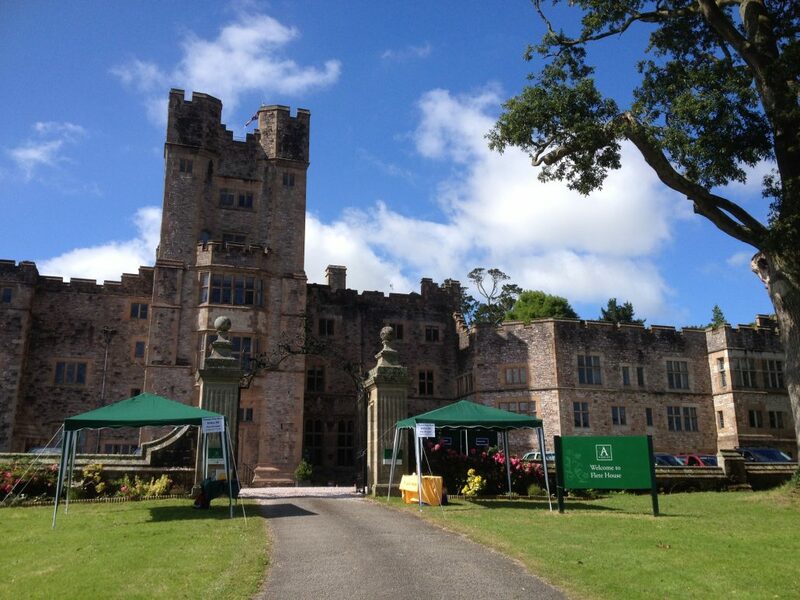 1058 visitors were treated to exclusive access to the private and historic estate in Ivybridge on Sunday 2 July, spending the day exploring the Italianate gardens, shrubbery and water gardens under blue skies and brilliant sunshine. The afternoon raised an incredible £9,030 for patient care, £2,350 more than in 2015, when we last held an Open Garden at Flete Estate. A big part of the total came from the selection of delicious cakes that had been donated, making an amazing £2,864.10 towards the total for the day. Raffle, plant and merchandise sales all helped contribute to the final amount as well. 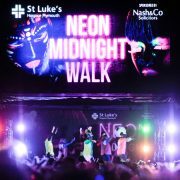 Special thanks to all the volunteers who worked hard to make the day run so smoothly, especially those who were helping out at the Neon Midnight Walk the previous night. We even had submariners from HMS Vanguard and staff from the Land Registry Office helping out as parking volunteer marshals. The historic estate was used by the city of Plymouth as a maternity hospital during and after the Second World War; with many attendees on the day having actually been born there themselves. If you couldn’t make it to the Flete Open Gardens this year, then we will be planning to open Flete Estate Gardens again in 2019. St Luke’s Open Gardens will be continuing throughout August and September, with upcoming gardens including Diptford Village Walkabout on Sunday 6 August between 1.30pm and 5.30pm, Alpine House in Bere Ferrers on Sunday 13 August between 11am and 4pm, Blanksmill in West Alvington on Sunday 3 September between 2pm and 5pm and Lower Charaton Cottage in Pensilva, Cornwall, on Sunday 10 September between 2pm and 5pm. We also have a selection of private gardens opening by appointment up until early November. To see the full Open Garden listings click here. 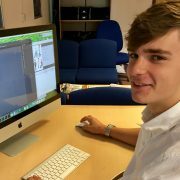 My name is Harry Roberts, I am seventeen years and old currently studying A-levels at Ivybridge Community College. 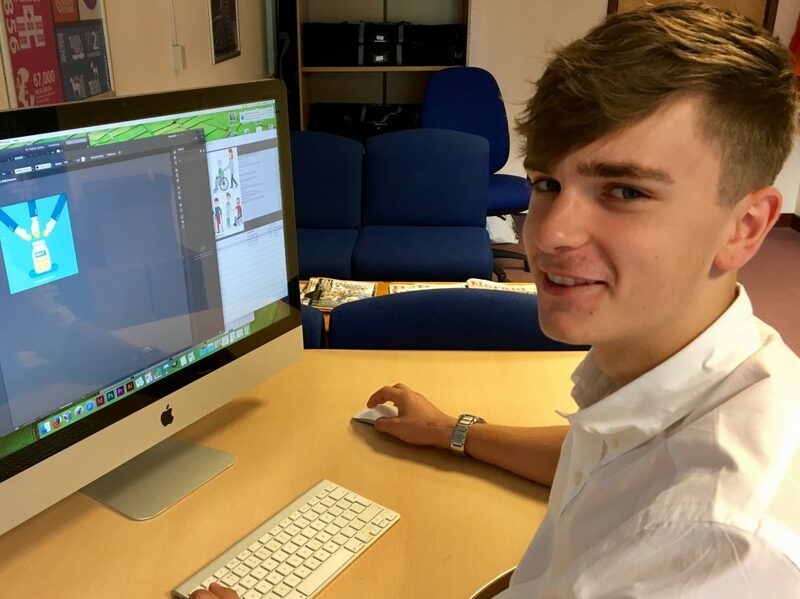 In July 2017, I choose to spend my weeks work experience at St Luke’s Hospice Plymouth because I was interested in understanding the charity further while gaining experience in the communications and marketing side of the charity. As I have never had to visit a hospice yet in my life, I didn’t really know what to expect. My initial thoughts before coming to the hospice were naive with the assumption of a gloomy hospital like building containing endless wards seeing to the elderly. On arrival on my first day I Immediately realised my assumption couldn’t have been anymore wrong. Walking up to the building based at Turnchapel I noticed from the outside it didn’t appear to resemble a hospital with the tense mood associated. Instead I got the impression of a relaxed and calming environment. The hospice instead seemed smaller then I had imaged, creating a cosy ‘home’ like sense. After visiting reception and being introduced to the marketing and communications team of St Luke’s I was taken on a tour around the building. During the tour, I was impressed by the efforts made to create a warming environment for both the patients and their families, this was achieved by the numerous visitor rooms which prominently portray the family- home like sense, as well as the play area for children. It really showed me the charity isn’t only about caring for patients but also for helping to create a welcoming experience for the family and visitors of the patients. Furthermore, the open area known as the ‘Harbour’ within the hospice provides a peaceful quiet space for either spiritual needs or just thinking space for a patient or relative. I was particularly surprised by this area as it completely contradicts my initial thoughts of a hospice demonstrating St Luke’s provides much more then just medical needs. I have been introduced to the marketing side of St Luke’s and I have been surprised by the amount of thought and effort that has to go into something as little as a Facebook post or an advert, which to people outside the charity may seem like a simple insignificant process. 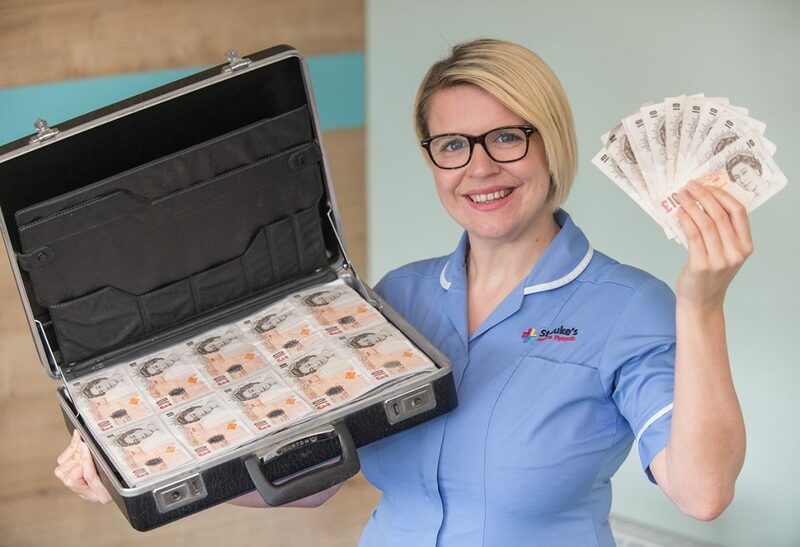 The charity needs to ensure it appeals to everyone, not only the older generation which people may associated with the hospice, after all St Luke’s care for anyone over the age of 18 and an increasing number of people in their 30’s and 40’s. 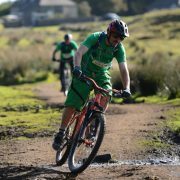 I now realise that certain adverts such as fundraising events need to be put across in such a way it appeals to the correct audience, which may be middle age men, teenagers, women..etc. The way St Luke’s write in relation to tone and voice must be correctly written in order to portray the right message and engage with their target audience. The audience the message is directed at may affect which social media platform a message is placed, for example if there’s advertisement about a fundraising event which is dominated by men the message may be posted on twitter which is prominently used by males and vice versa, Facebook for women. Furthermore, I was also surprised to find out the efforts taken to protect the charity’s brand. Specific measures are put in place in order to educate staff about the importance of the brand and to ensure the St Luke brand is always consistent. 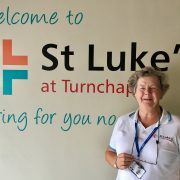 They also educate staff and volunteers on the expectations to protect St Luke’s reputation on social media, both on company and personal accounts. 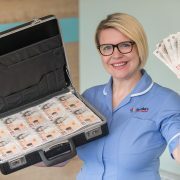 I have also began to understand how social media is a great tool for the charity’s marketing and communications, as it enables St Luke’s to share the brilliant care happening within the charity, as well as thanking those for their support and fundraising. As I began to draft social media posts I begin to understand how St Luke’s goes over and above a medical charity to ensure every patient has a good end of life. Today is the third day of my work experience within St Luke’s marketing and communications department and I have been given the opportunity to explore the graphic design programs used by the department. 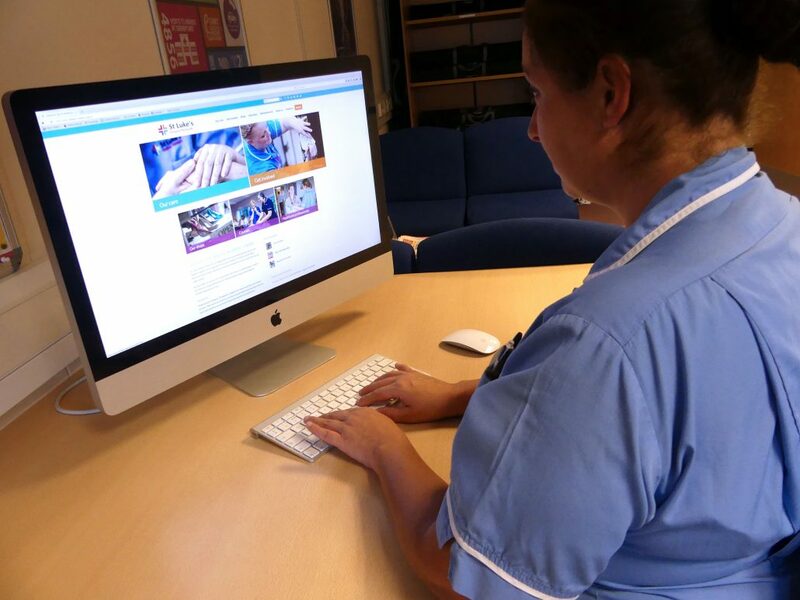 My first task was to edit and create a digital advertisement for St Luke’s new website. By doing so I began to understand the effort and time needed to create an effective, capturing piece of advertising. As I’ve touched upon earlier, St Luke’s needs to appeal to all ages therefore the artwork portraying the charity must be carefully thought out in order to appeal to the correct audience. I am really starting to understand that before you design or write anything, understanding your target audience and where the product will be used is the key to anything this department takes on. I began the day further exploring photoshop to create an image displaying some positive quotes from patients and from their family members about the charity. This will be then posted onto St Luke’s social media platforms. Later in the day I went to take some photography from around the hospice to use alongside my blog, I choose to go to the hospice’s garden to get my photos. The view was surreal looking out to the city and the sea surrounding, the plants in the garden all helped create a stunning atmosphere. I imagine this area must be a peaceful place for the patients or the families to relax and enjoy the view and take time out of the medical environment. In summary, over the past week my opinion and understanding of the charity has changed. From working here I now understand the charity provides much more than just medical needs, in other words it goes over and above what you’d expect. My assumption of a hospital – like building has now changed to the realisation of the hospice being a warming, welcoming environment. This week has made me realise just how much effort goes each part of St Luke’s communications and marketing products, from protecting the brand and advertising fundraising events, to the immense amount of thought to craft a single social media post. I have really enjoyed learning to use the graphic design programs and have found it interesting understanding how the charity must try and target certain audiences to achieve their marketing goals. I would like to thank St Luke’s for the great opportunity and the experience they have given me. I would encourage everybody, especially people of my age to take time out and learn what a hospice actually is rather than relying on often false assumptions.